Look what I received from Hormel Foods! 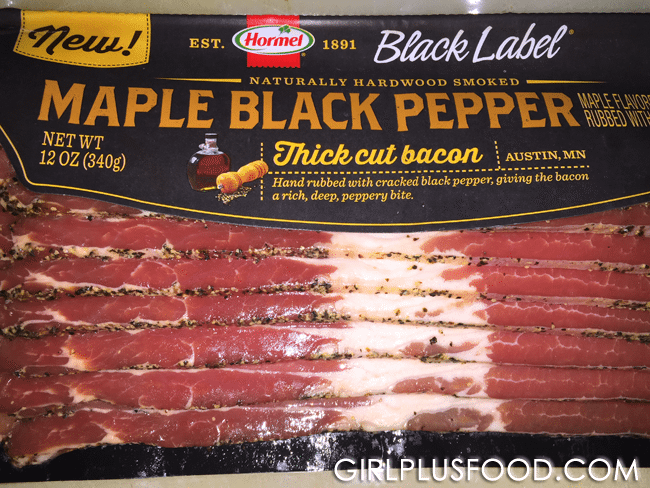 Yes… HORMEL Black Label Maple Black Pepper Thick Cut Bacon. Not only is it maple and thick-cut… it comes rubbed with black pepper! 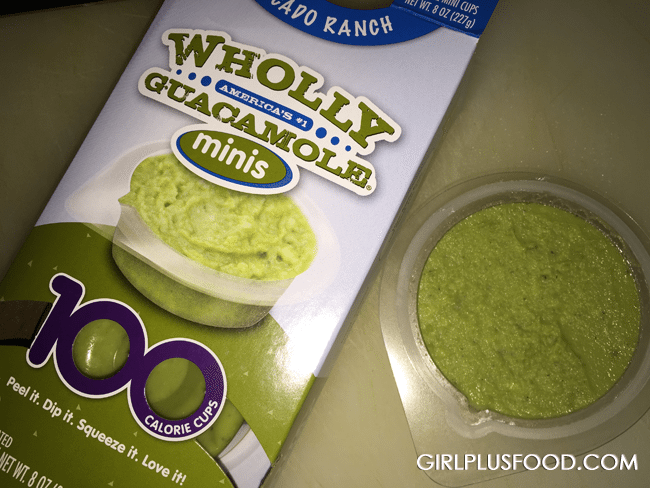 And a package of Wholly Guacamole® Avocado Ranch! I stacked them all together and got… DELICIOUSNESS! Butter one side of all 4 slices of bread using 1 tablespoon of butter. Place a large skillet over medium high heat and melt the remaining butter. Place the 4 slices of bread, buttered side down, into the skillet; and grill for about a minute, or until the grilled side turns golden brown. 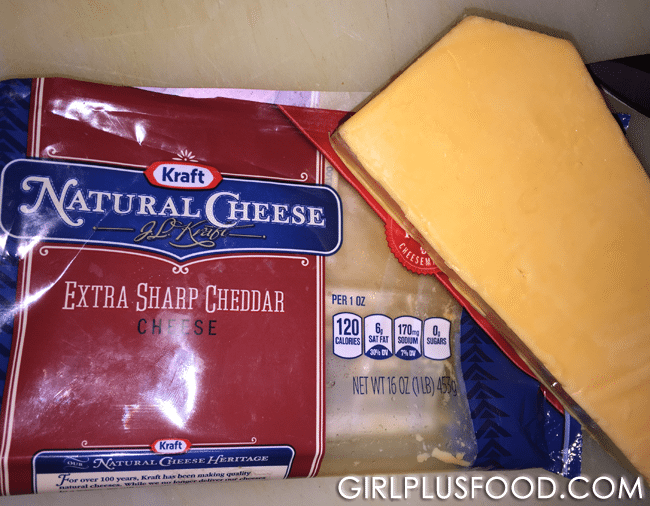 Flip the bread and arrange 1 slice of cheese on 2 slices of bread. Leave on heat until the cheese is melted and the grilled side turns golden brown. 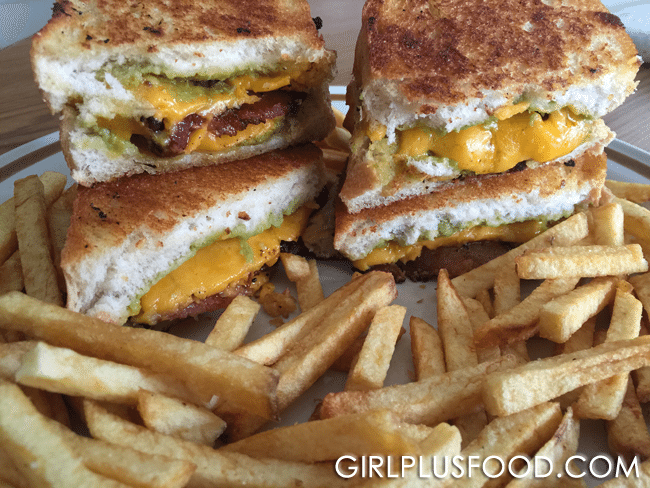 Remove from skillet and scoop 2 spoonful of guacamole on top of the cheese and arrange 2 slices of bacon, on both slices of bread. Top them with the two slices of bread without the guacamole and cut in half before serving. Previous: Hormel Preferred Blogger: February Box!